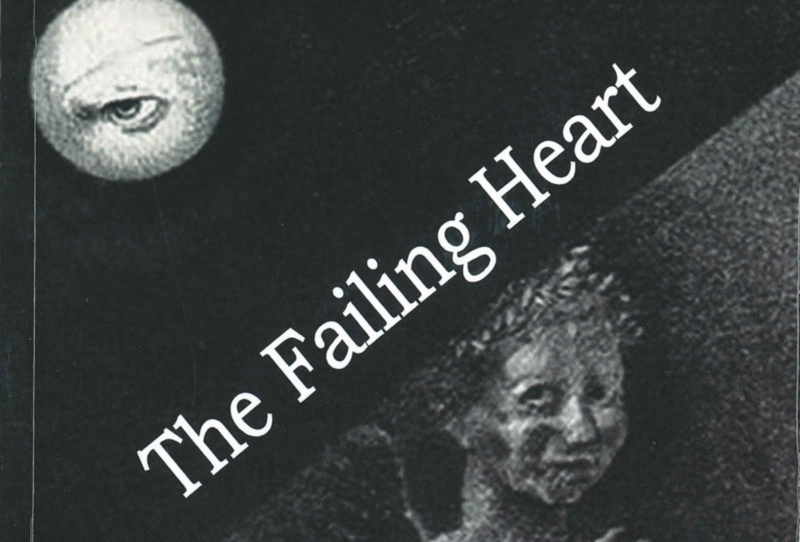 The Failing Heart is a morbid and twisted fable of a young man grappling with the harsh realities of life and the harsher ones of death. Set in an unnamed area that seems like Portobello in Dublin, author Eoghan Smith has described his debut novel as a “dark, surreal tale of existential melancholia”. Its style and content fall right in with the fiction that UK-based Dedalus Books usually publishes. As the story opens, the unnamed protagonist’s landlord is threatening legal consequences if he fails to pay the rent he owes. It’s a scene that draws us into a world that is immediately familiar, given Dublin’s housing crisis. The reader then slides into the narrator’s grim streams of thought and despairing world view. Broke and anxious, his state worsens with the rather untimely death of his mother. Smith doesn’t skimp on the grotesque – at this point, and throughout the novel – as Flanagan, the undertaker, prepares the mother’s body for burial. The narrator spirals into melancholia and despair and, after the funeral, runs away from home – abandoning his younger sister, his girlfriend Traudl, and his father – and sets out in search of something that he calls The Question. The Question, we learn, will help him complete his thesis for a university degree, with a Mr Schorman as the judge. The narrator is in constant touch with Schorman and keeps him updated about his ongoing quest. He writes page after page, filling reams of paper, hoping that he will finally land on The Question and earn Schorman’s validation. But socially isolated, sexually frustrated, and emotionally drained, he begins to collapse into an abyss of rage, anxiety, and terror. The French author and philosopher Albert Camus once wrote: “He who despairs of the human condition is a coward, but he who has hope for it is a fool.” Smith’s narrator is both a coward and a fool. His despair is unmatched. Yet his youthful positivity also peaks at times. He ventures out in the wilderness near Dublin and rests in the calmness of nature. He sways between admiring the hills and rivers, and immersing himself in the bathtub while contemplating the most efficient way to cut his wrists and drain his life away. The other characters in Smith’s story revolve around the narrator without agency of their own. It’s a short book, just 152 pages. It makes sense to centre a single protagonist. The narrator talks often about Fitzgerald, his childhood friend, who has a fascination with rooks. Mister King, one of his landlords, is a dodgy and shady figure. His girlfriend Traudl, who is pregnant his child, is forgiving of his irrational behavior. The narrator’s strained and toxic relationship with his father, owing to a not-so-happy childhood, takes devious turns. He attempts to murder his father, in a fit of vengeful hatred, which later fizzles out when his child is born. One often associates death with the dying and life with the living. But the author tries, I think, to smudge this demarcation into a blurry line where the living meet death. The death of others as juxtaposed with the death of oneself. The experience of surviving while seeing another person pass away. And the question of whether there is, after all of this, a way to salvage a happy life. The narrator’s search for the Question, and Schorman’s criticism of this search seems to touch upon the broader philosophical questions that plague life itself. The struggle to find meaning, happiness and make sense of it all. The process is cathartic and traumatic for our protagonist. On a simpler level, this book is for those fascinated by the macabre, the grotesque or the noir, sprinkled with dark humour – those who can bear the imagery of a slowly decaying body with its terrible and vibrant colours. The Failing Heart is not, in other words, for the faint hearted. Shrinidhi Kalwad: Shrini lives in Dublin and loves to read when he's not staring at screens. Passionate about the written word, he has written book reviews and short stories that have been published in Telegram, an Indian literary magazine. You're likely to find him walking along the Grand Canal on sunny evenings. You can find more of his work at talesandheads.wordpress.com.